Use this vanity to bring more modern style into your bathroom. This piece comes with a beautiful brown solid wood base and a white ceramic counter. Redo the style of your bathroom with this classic from Avanity. Designed with a modern style and strong build, this vanity is a perfect choice for any bathroom. The white acrylic counter and red fiberboard base make this piece great for any bathroom. Put a nice twist on your bathroom project with this classic piece from Fresca. If you want a vanity that is both stylish and useful, this modern vanity is perfect. The good-looking white acrylic counter and white fiberboard base make a big difference in your bathroom. It is made with a single-door cabinet to hold all your bathroom items. Put a nice twist on your bathroom project with this classic piece from Fresca. Milo 21.3-inch W Wall Mounted Vanity in Brown With Ceramic Top in White Use this vanity to bring more modern style into your bathroom. 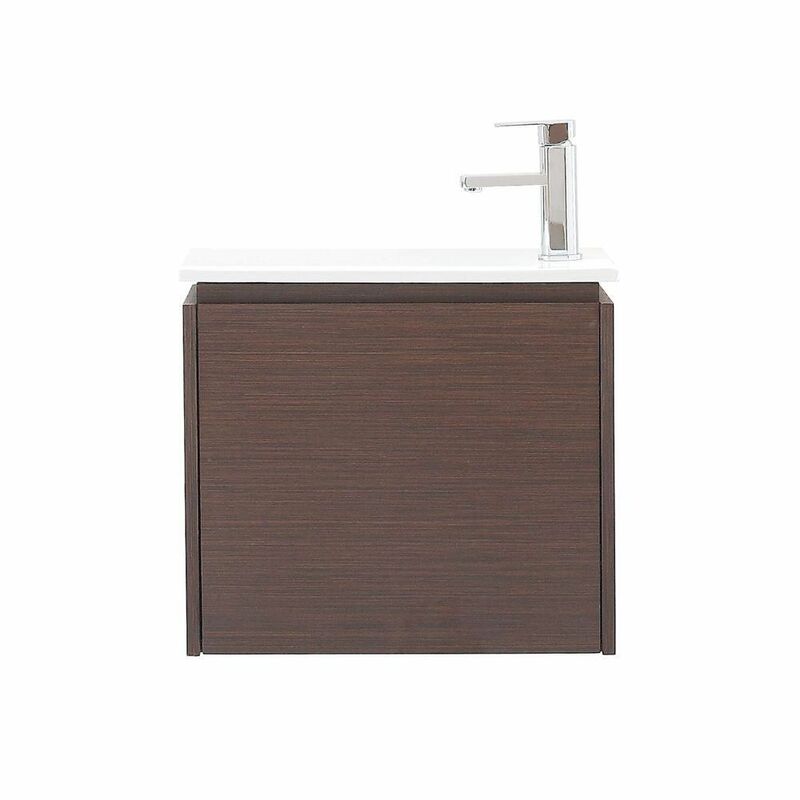 This piece comes with a beautiful brown solid wood base and a white ceramic counter. Redo the style of your bathroom with this classic from Avanity.